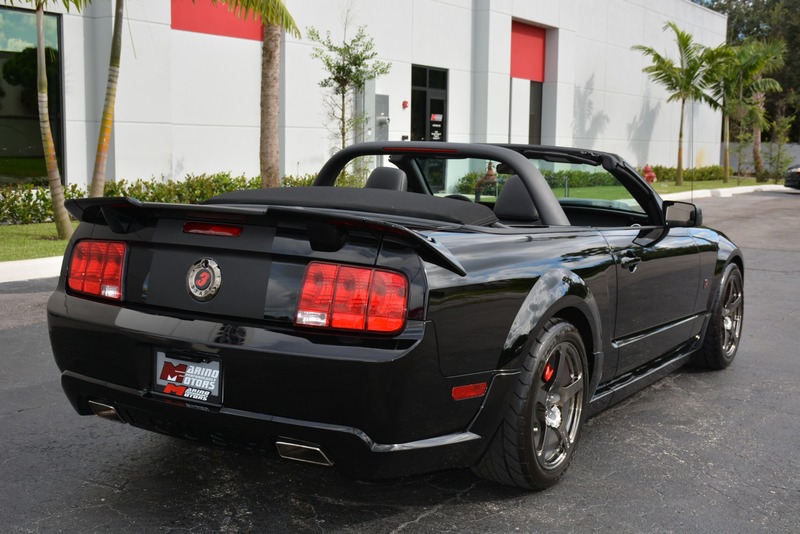 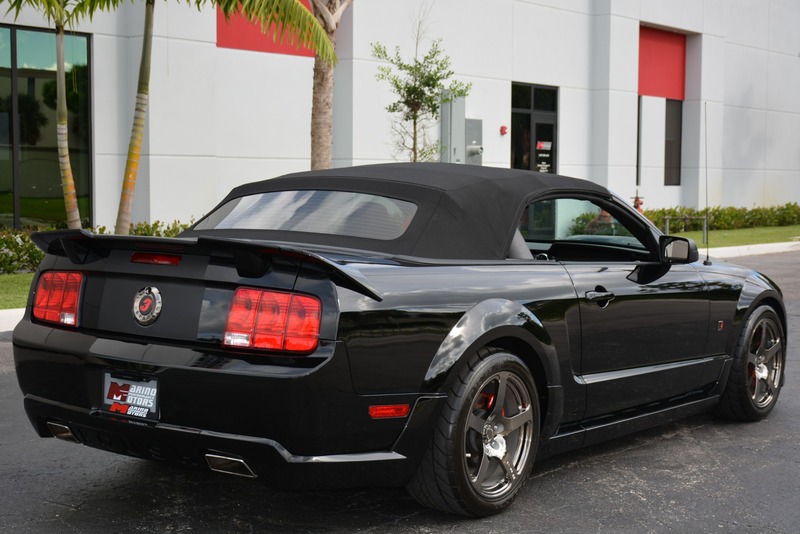 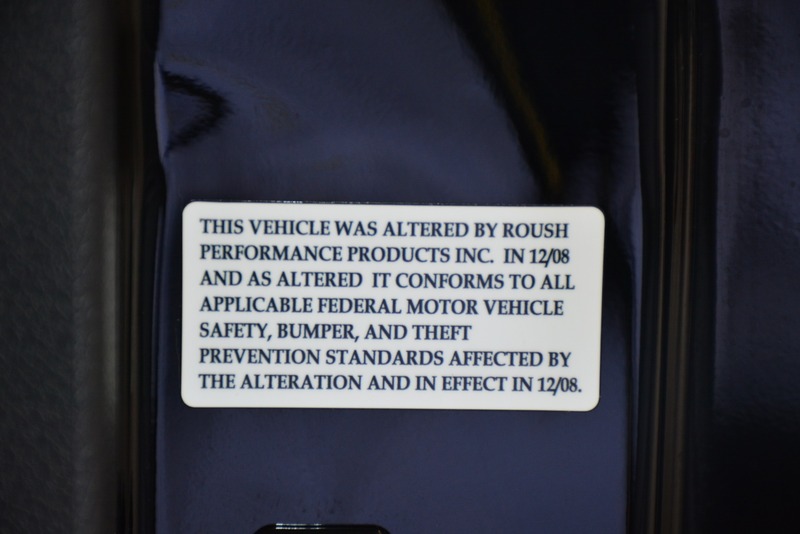 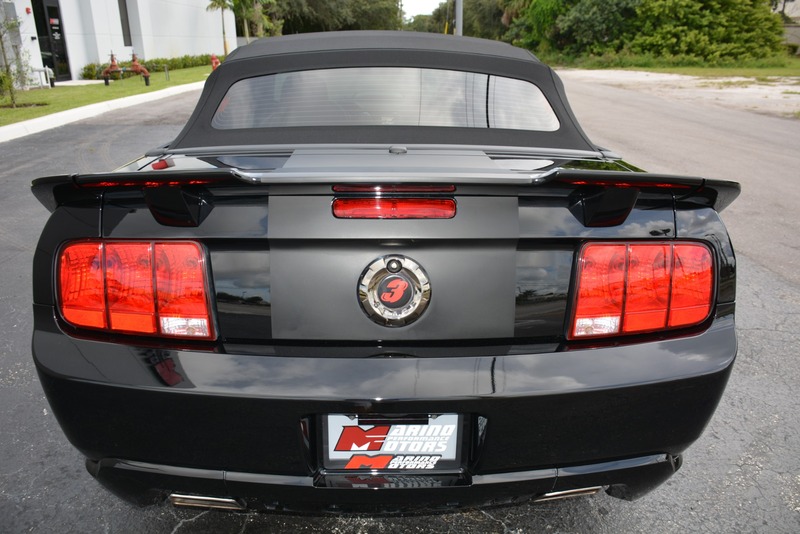 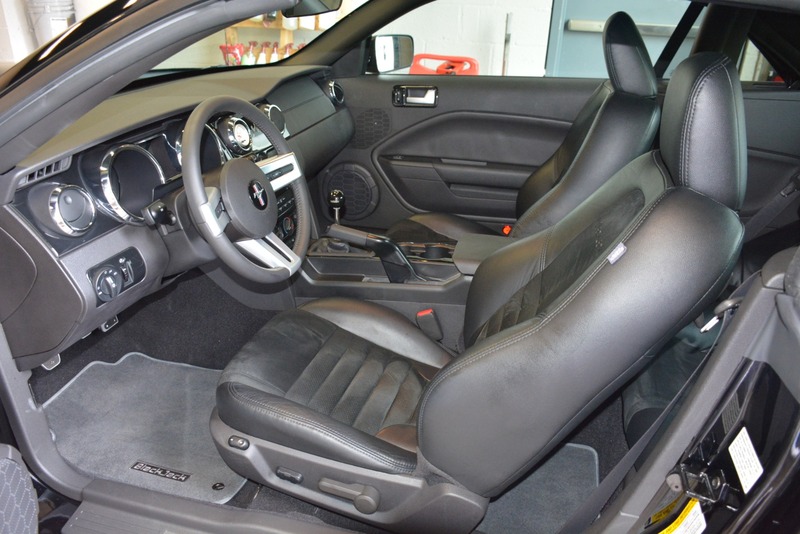 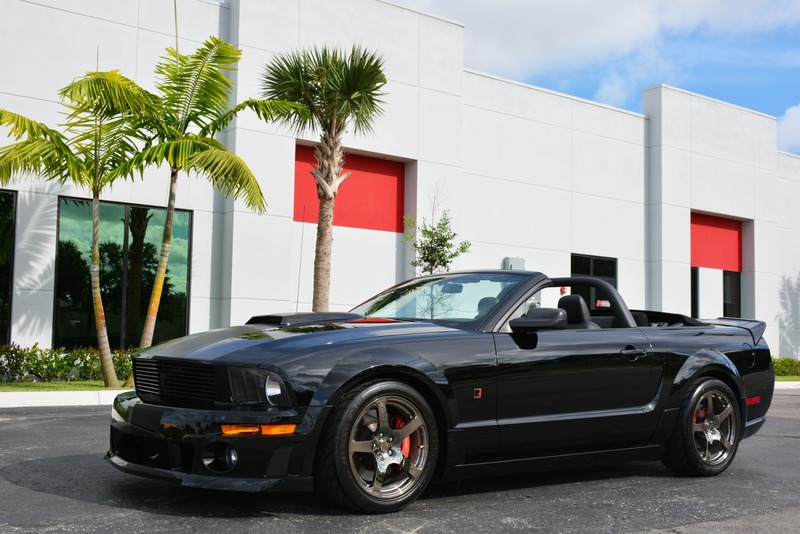 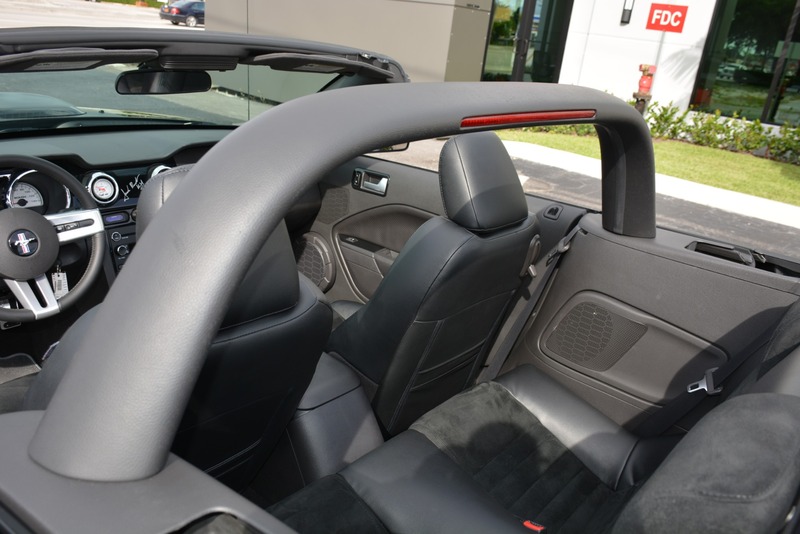 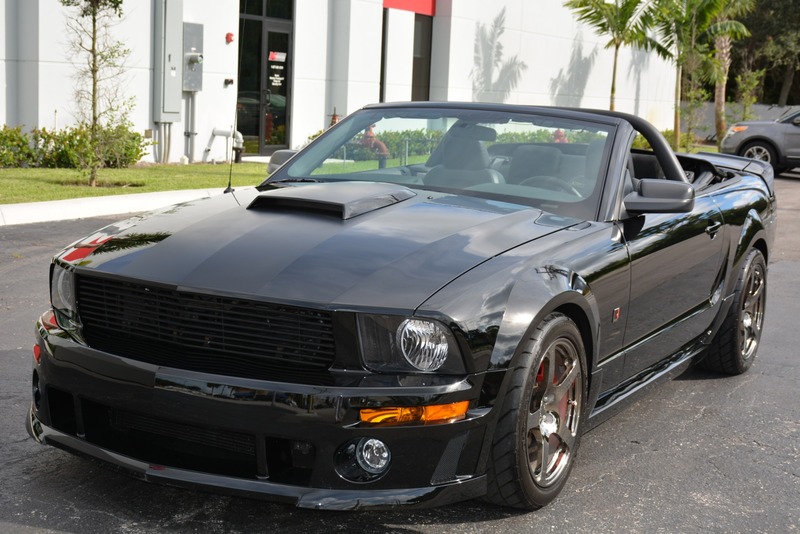 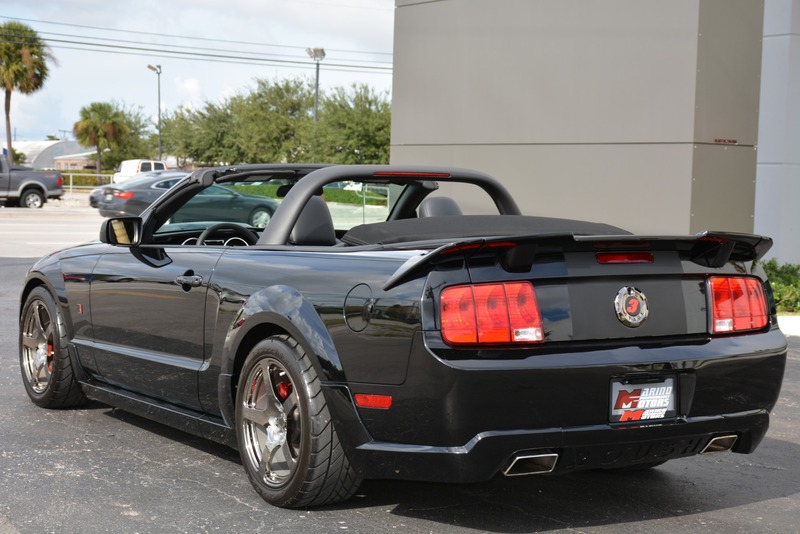 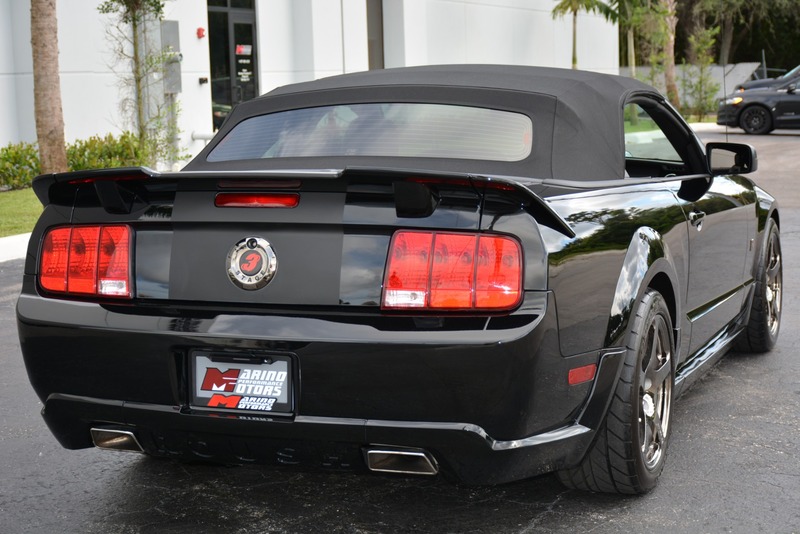 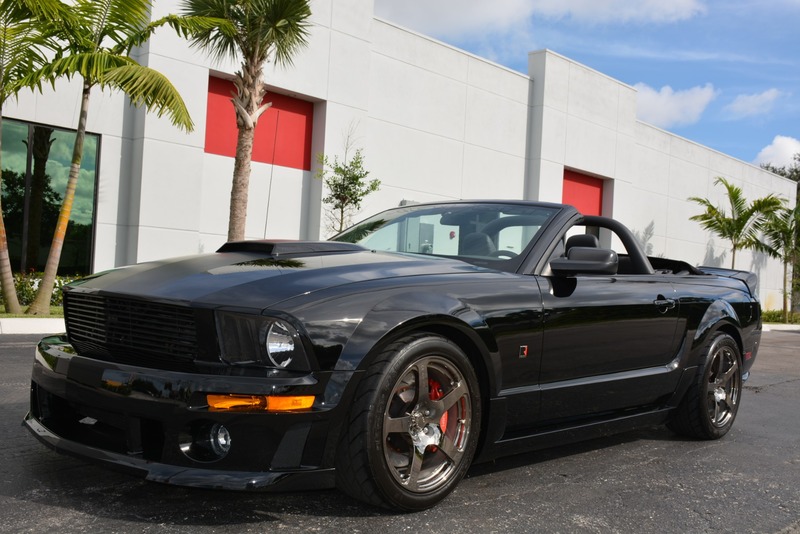 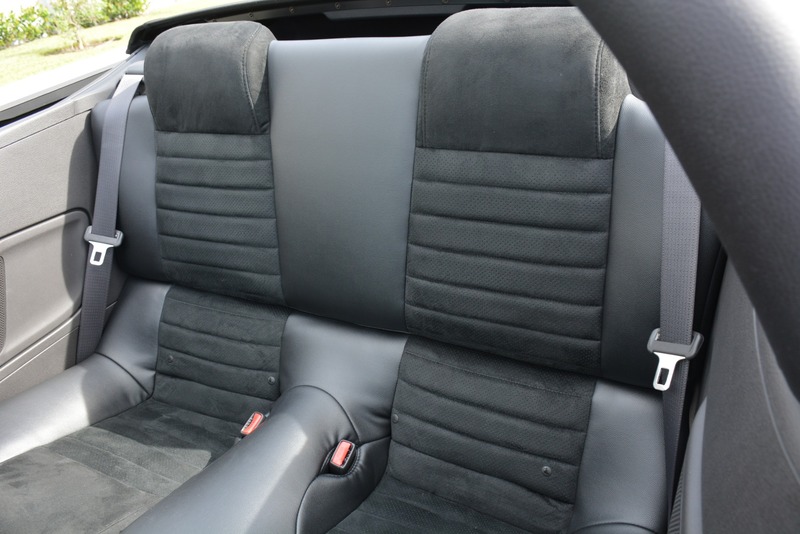 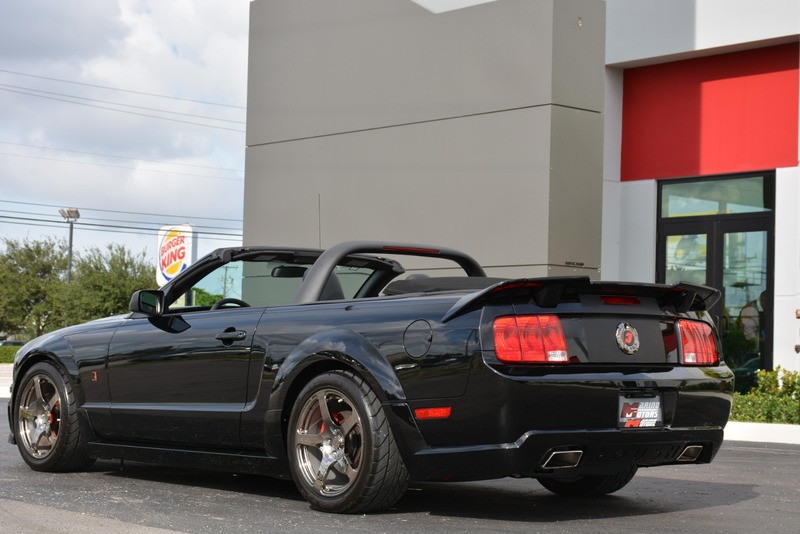 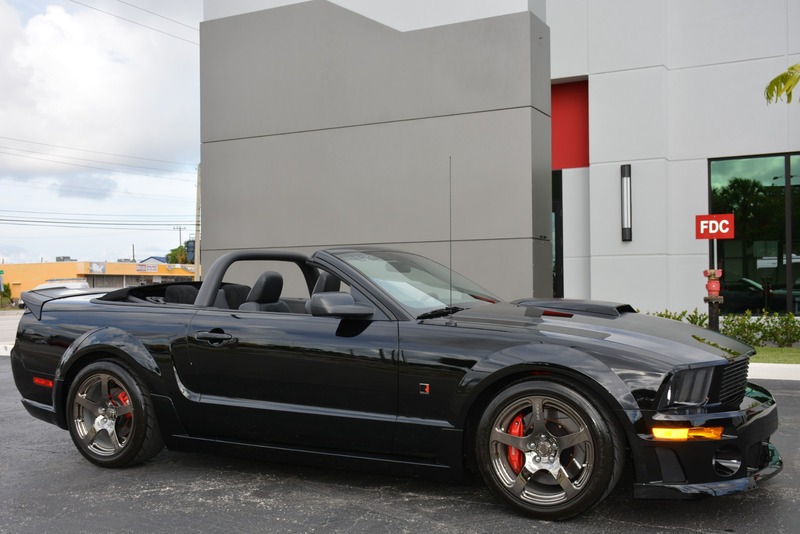 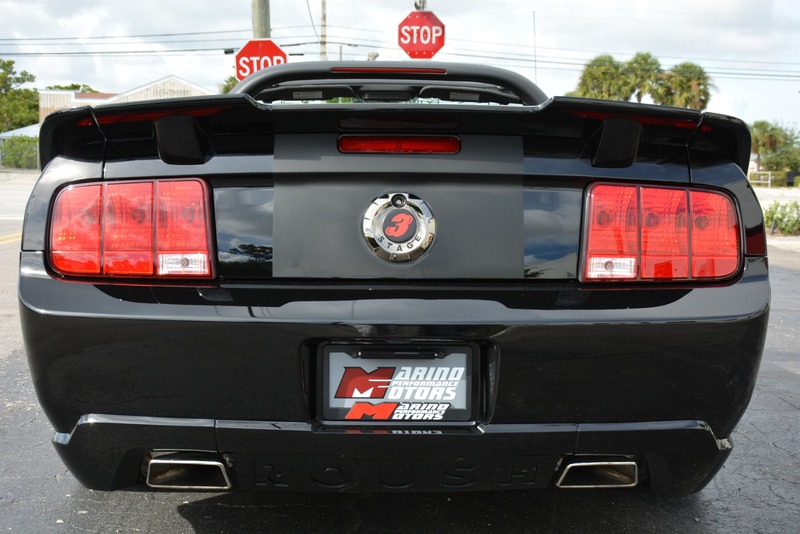 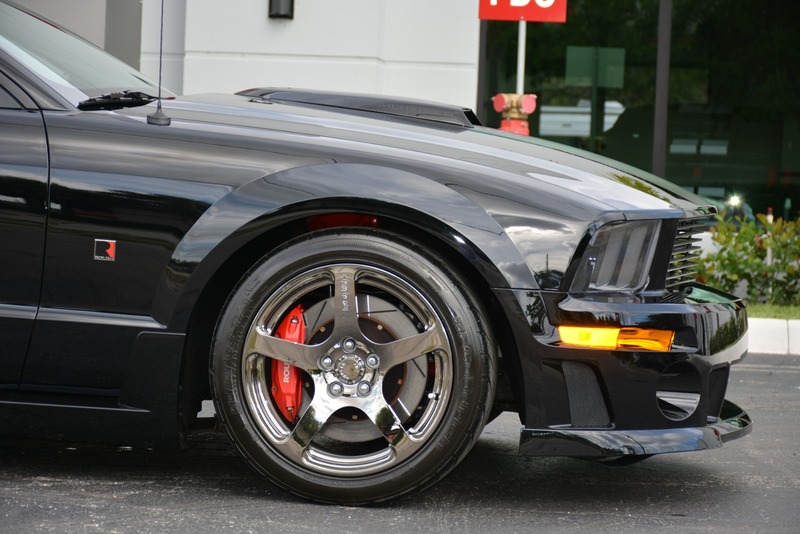 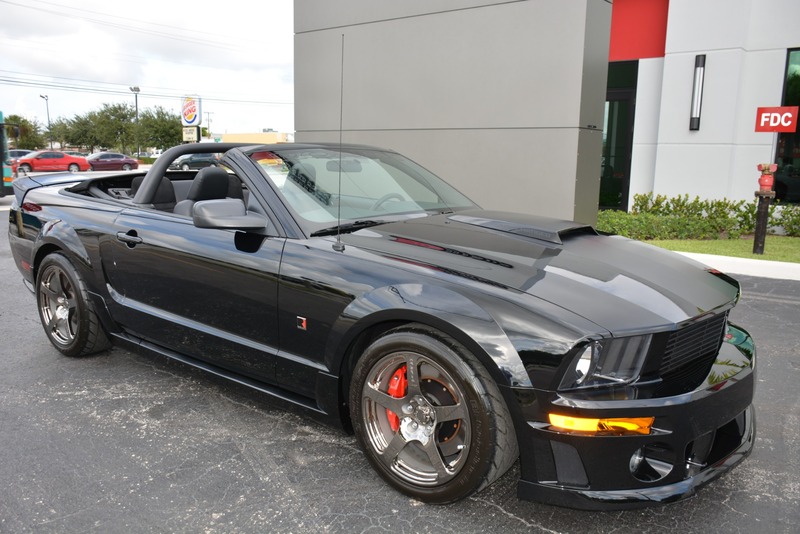 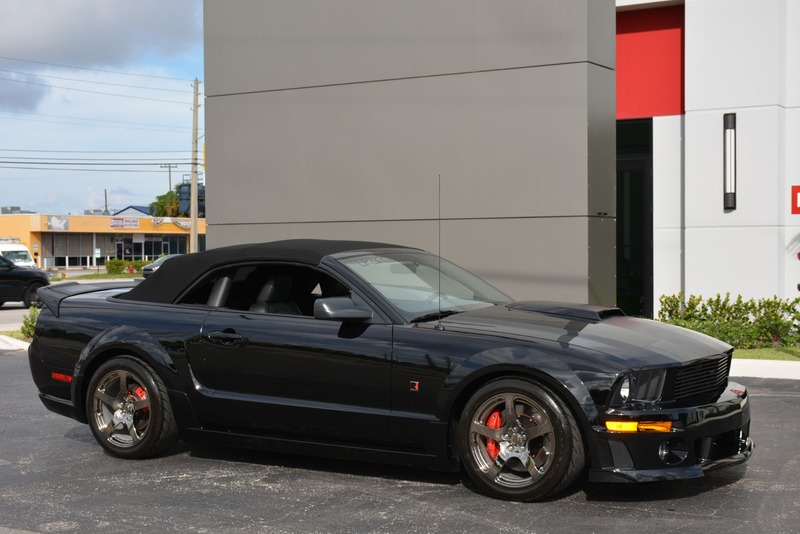 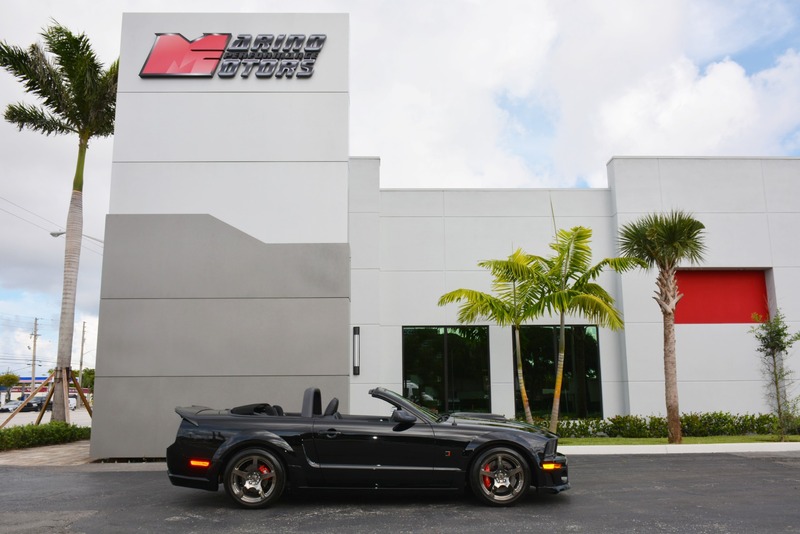 This ultra rare 2009 Mustang Roush Stage 3 Convertible was just traded in here at our dealership by it's ORIGINAL OWNER! 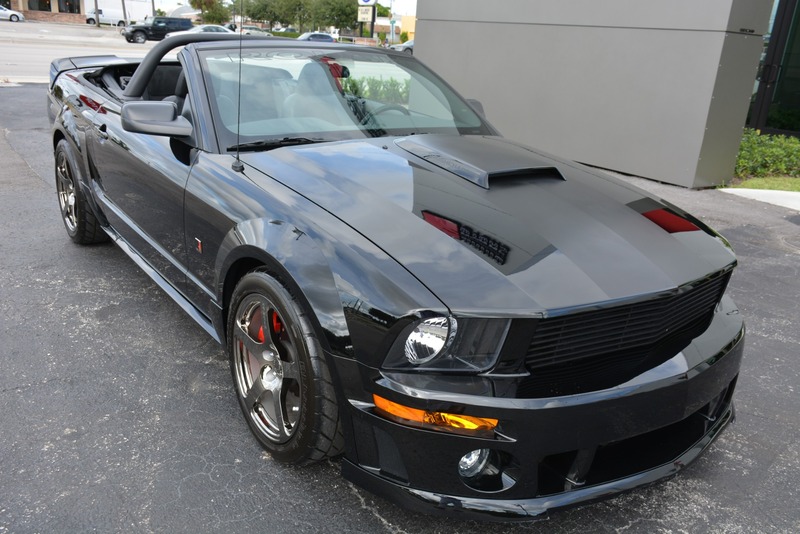 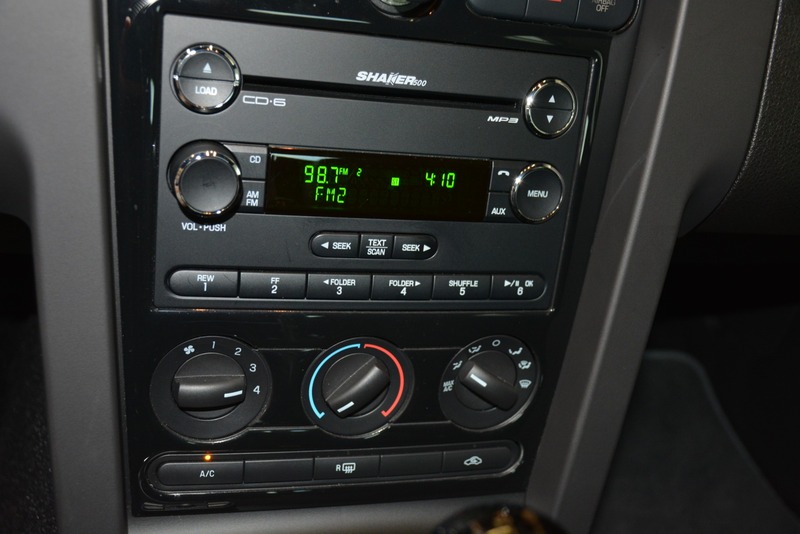 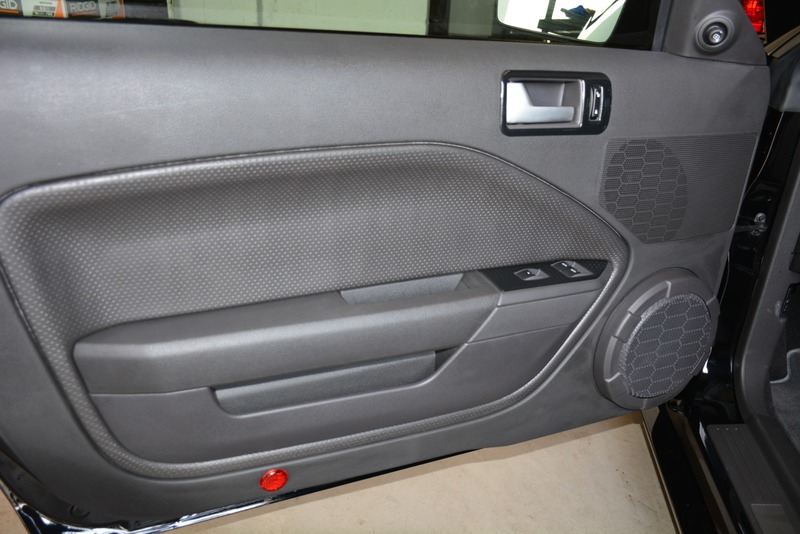 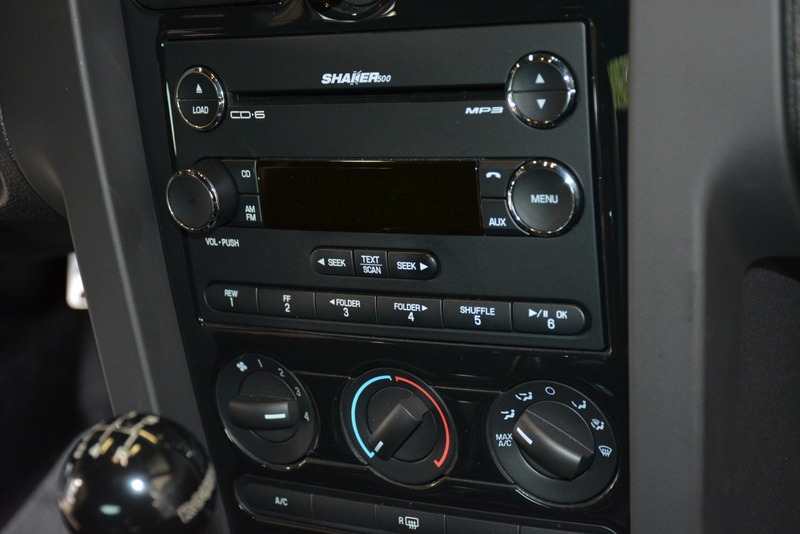 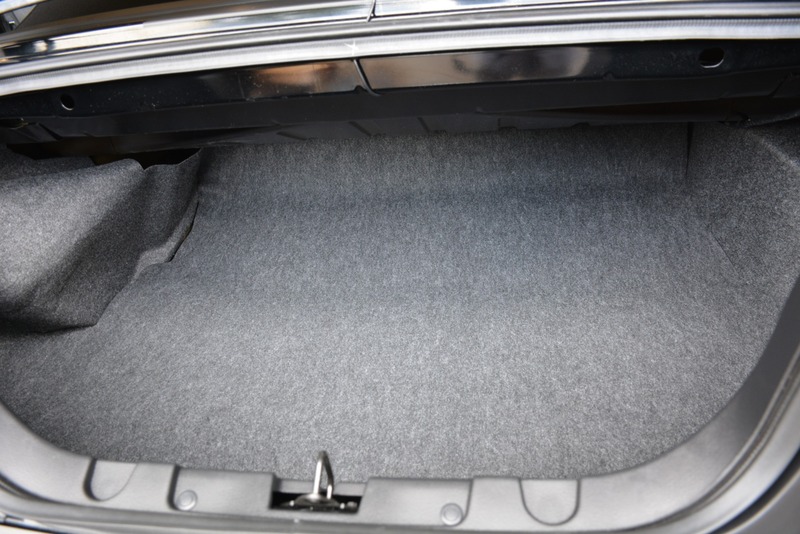 It has always been in a climate controlled garage and has never been in an accident , and is in absolute SHOW condition! 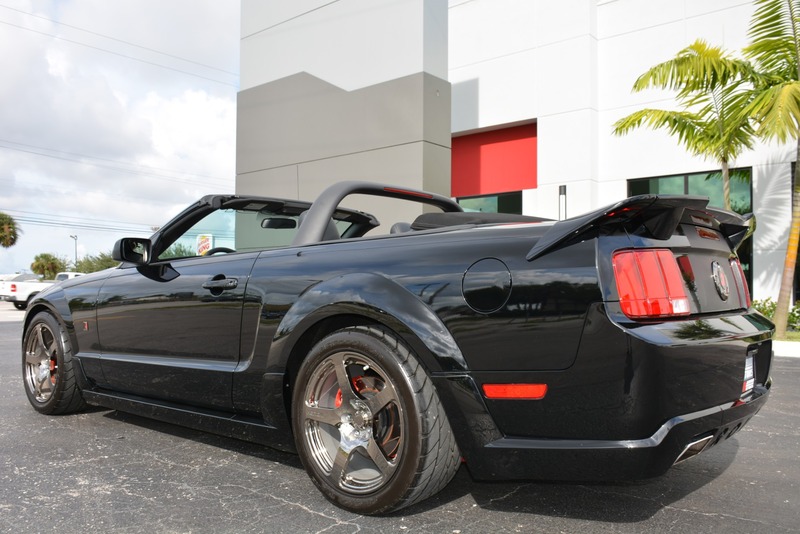 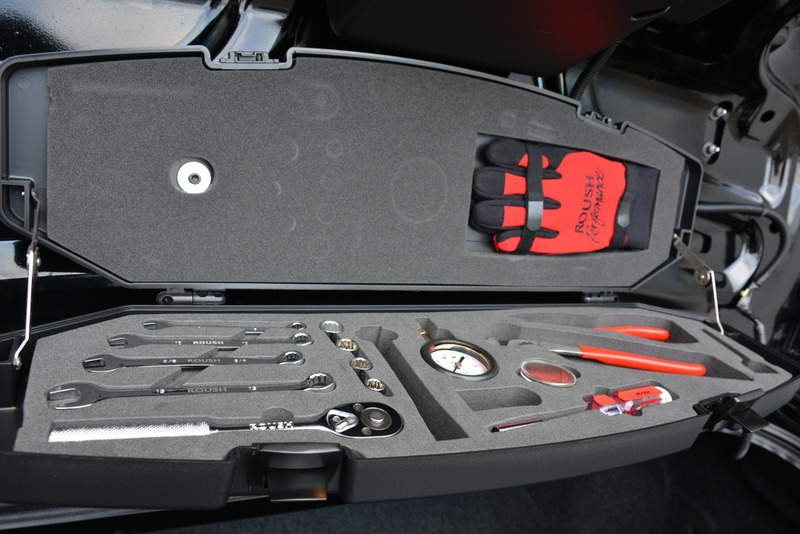 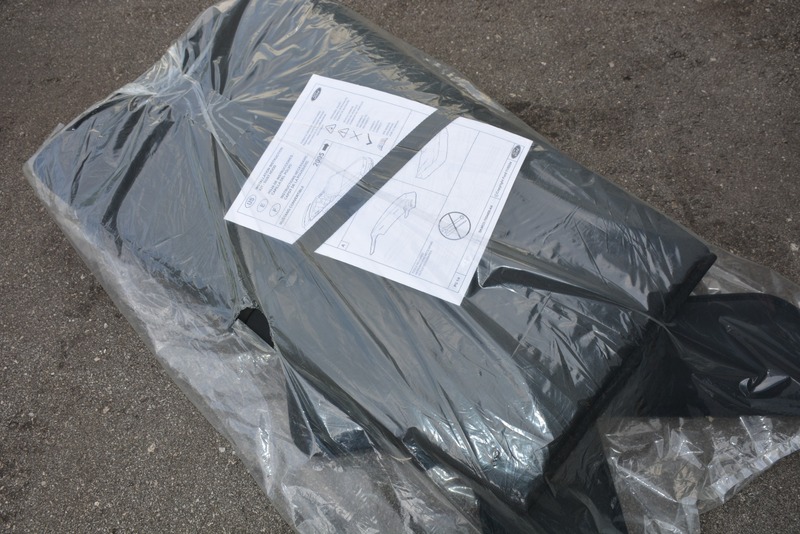 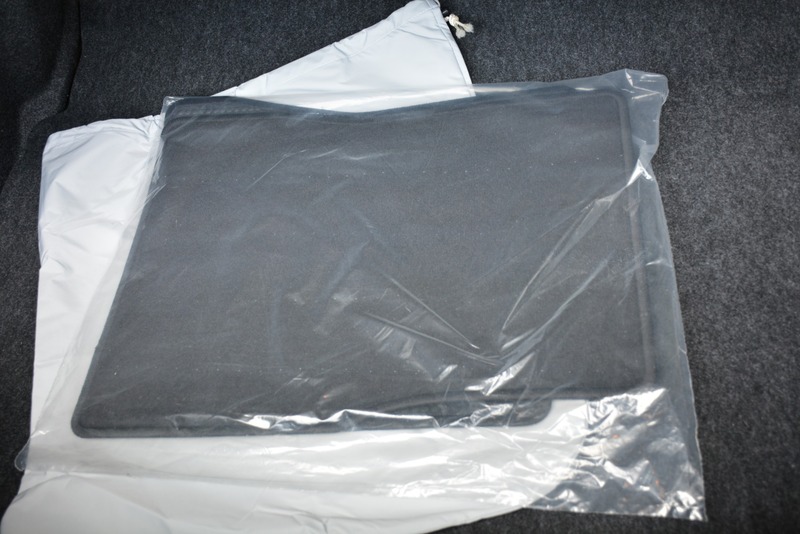 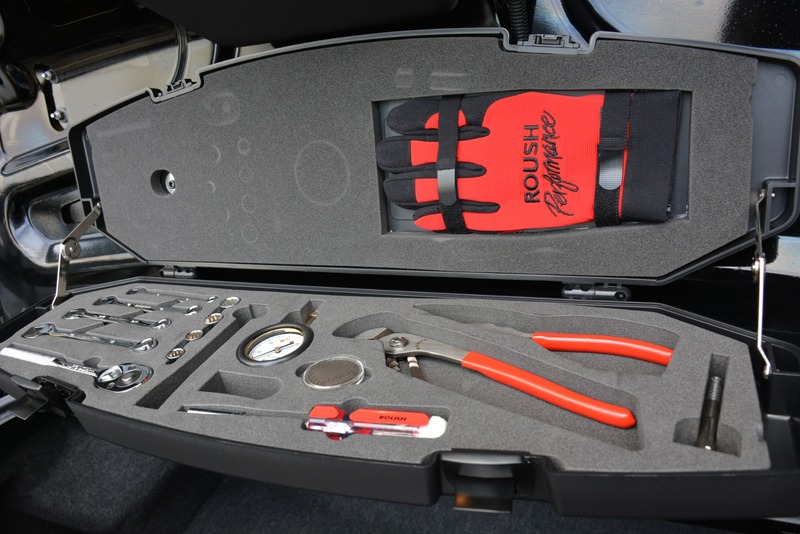 IT HAS JUST BEEN FULLY SERVICED AND IS READY TO GO FOR IT'S NEW OWNER!! 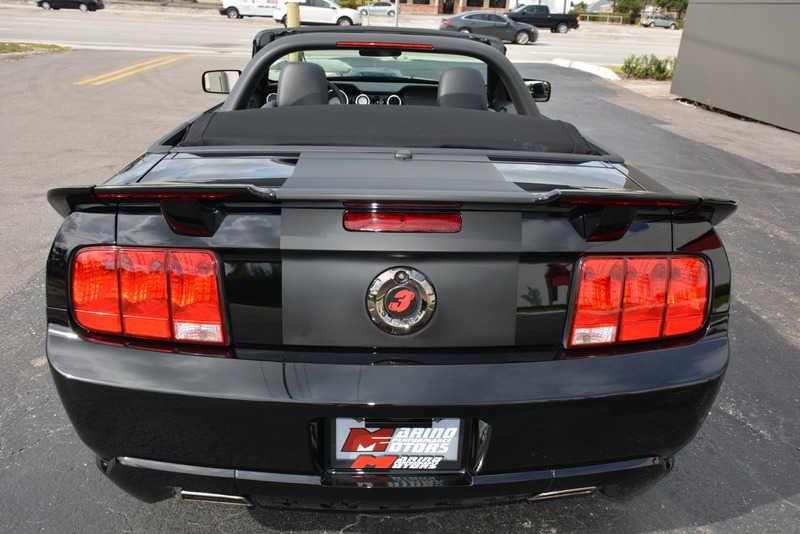 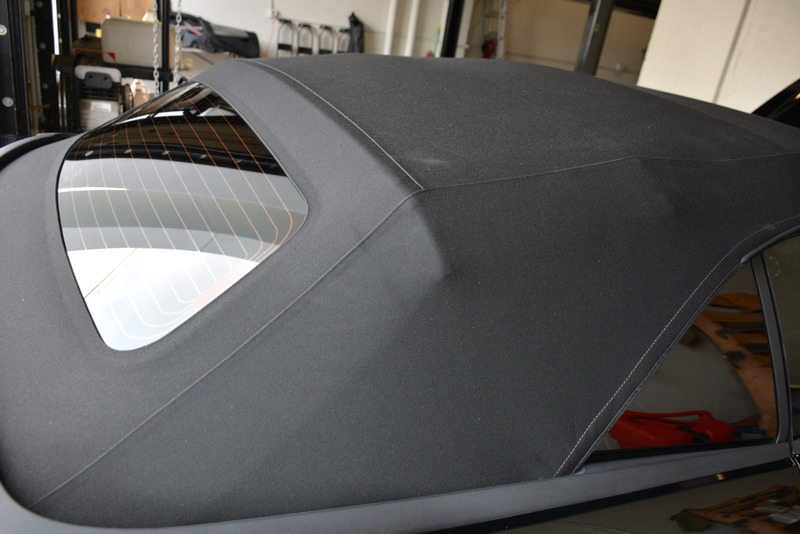 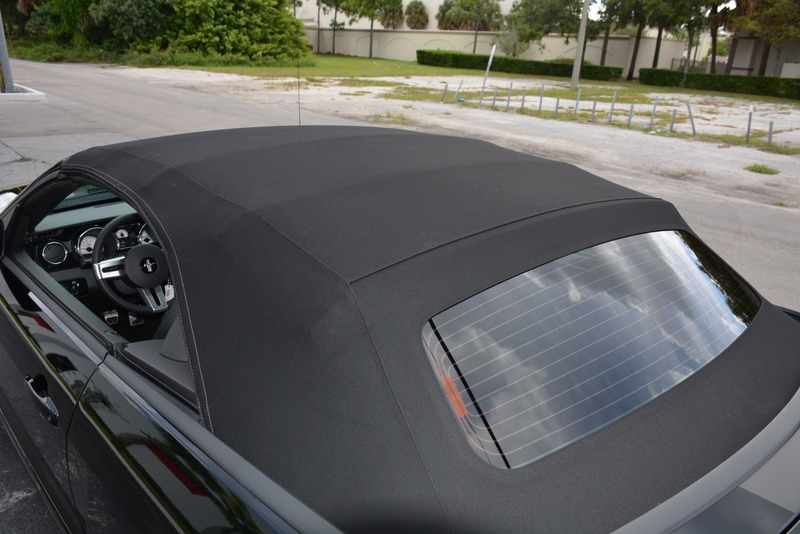 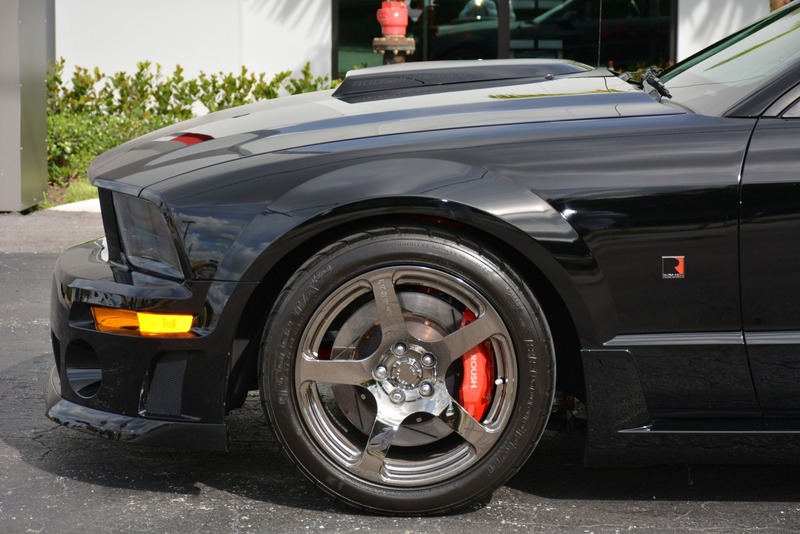 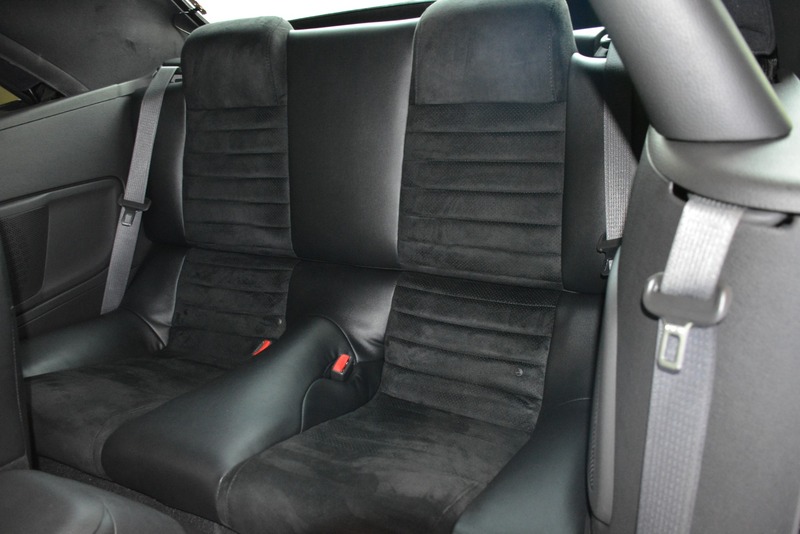 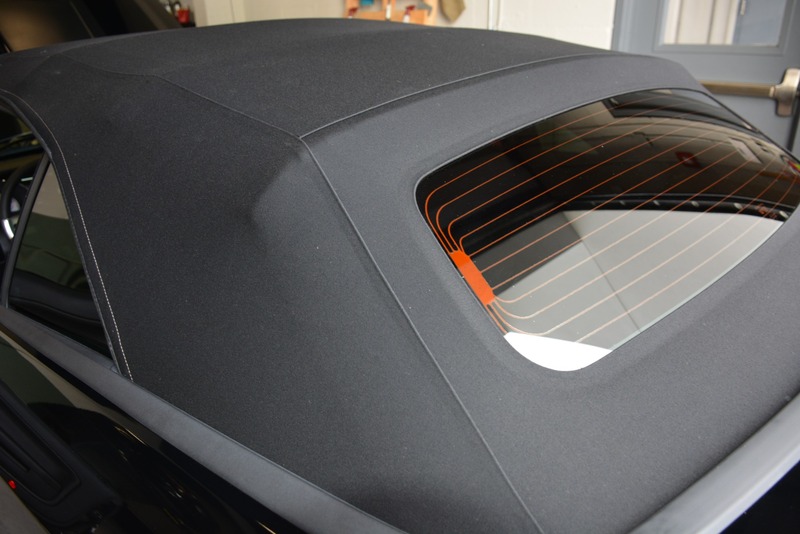 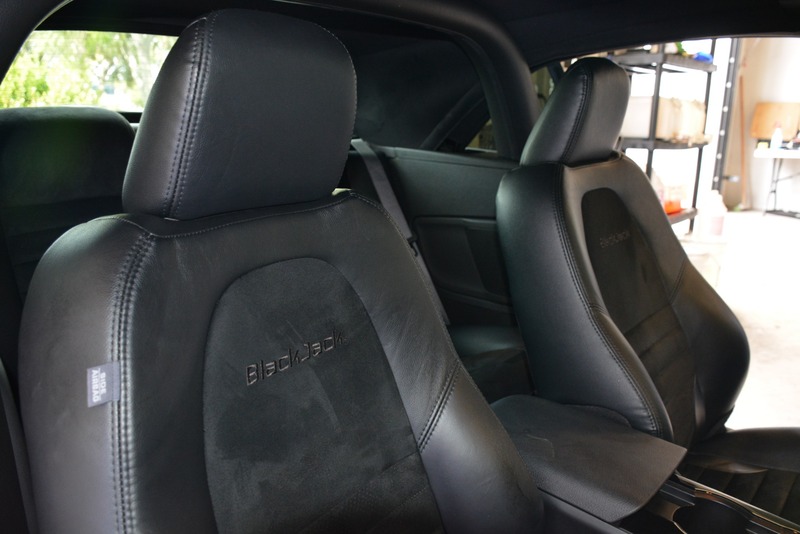 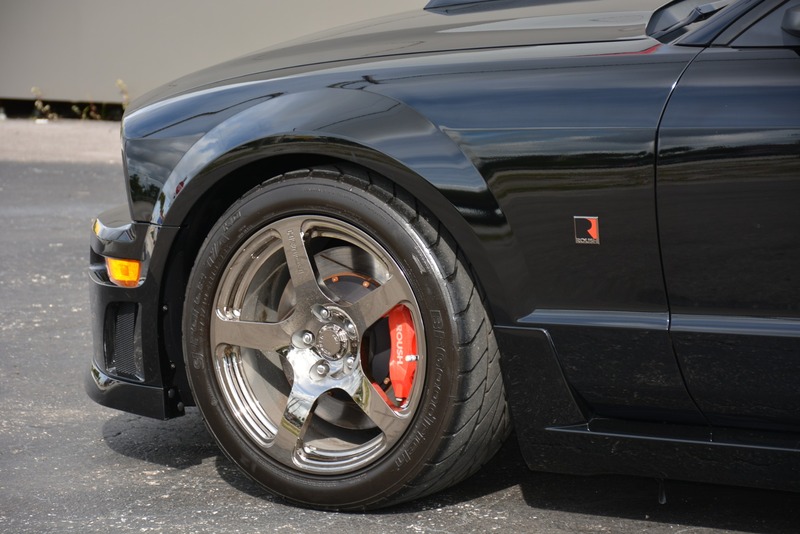 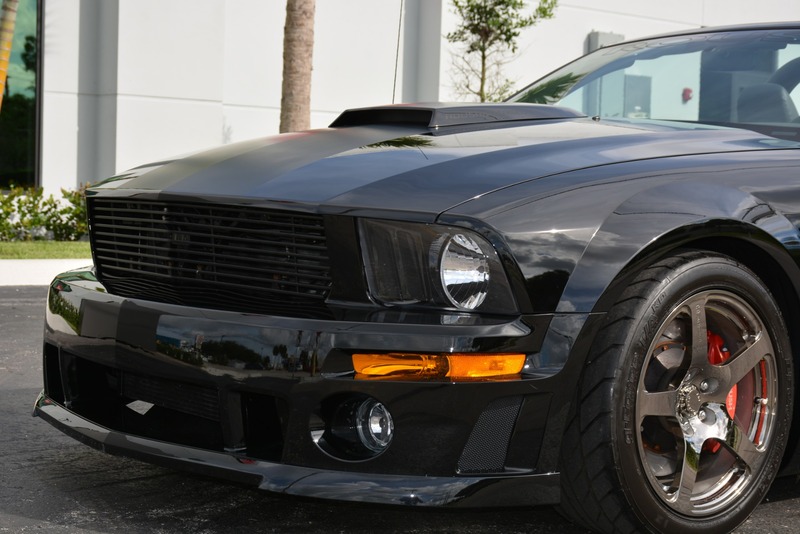 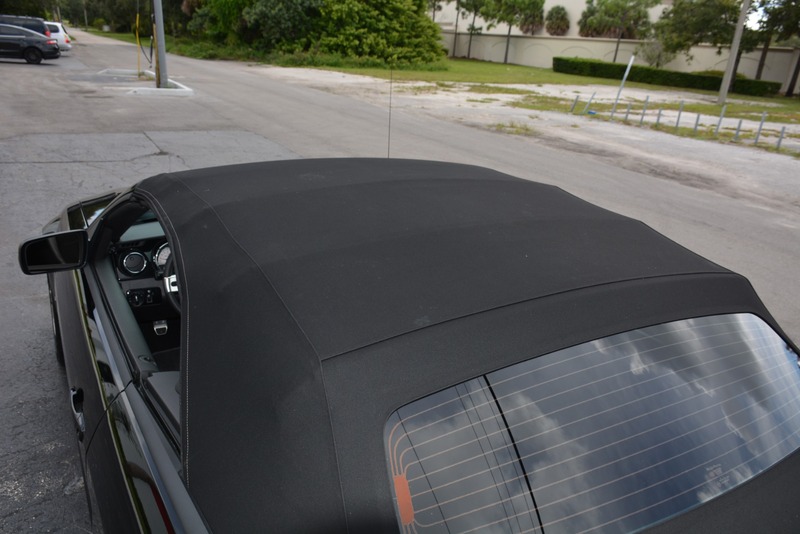 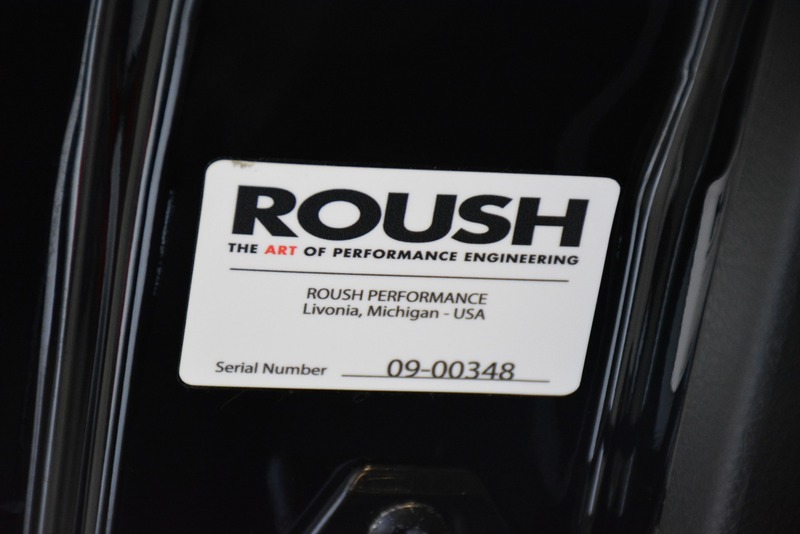 The 2009 ROUSH� Stage 3 BlackJack� continues the design cues started by Jack Roush himself - the menacing black tone-on-tone theme, the single wide stripe down the hood, and the thunderous rumble of 430 horsepower from an American V-8 engine capped with a legendary ROUSHcharger�. 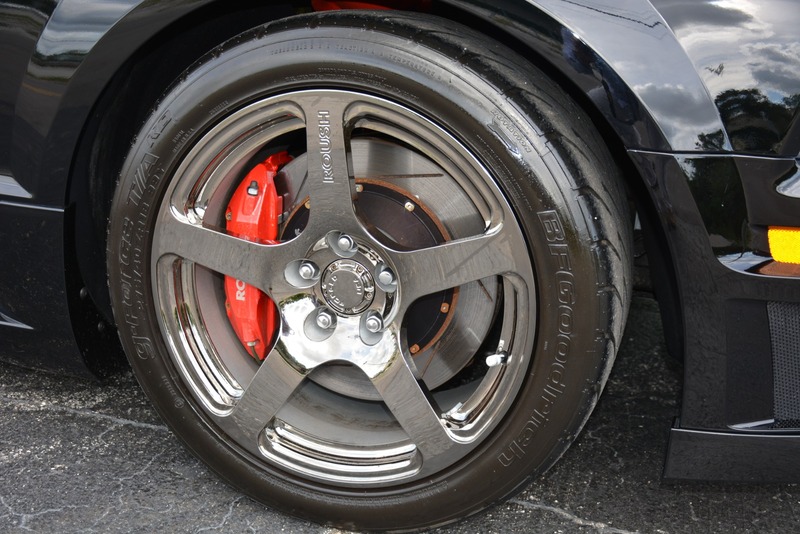 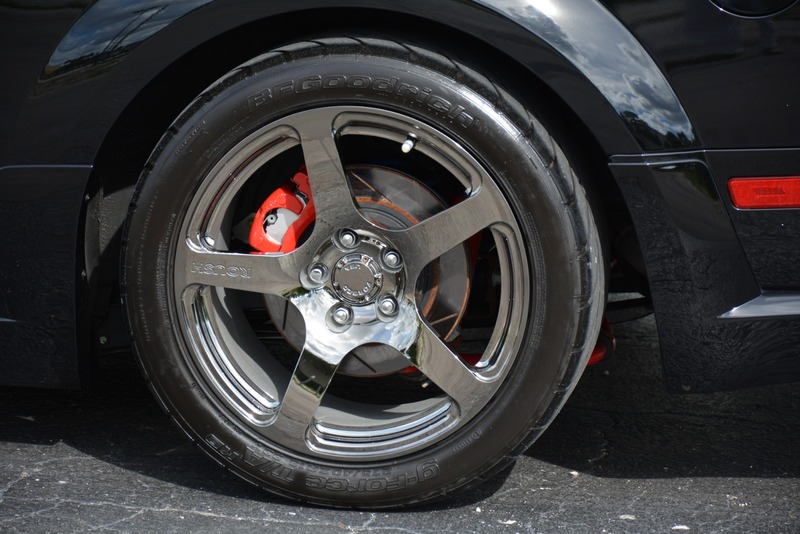 Among the new items this year are the unique 18-inch forged black chrome wheels, sure to make people stop, look and give a thumbs up. 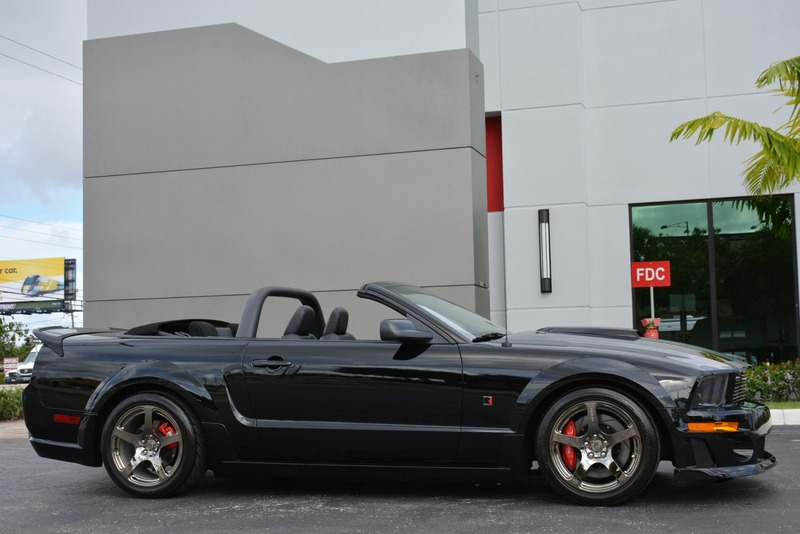 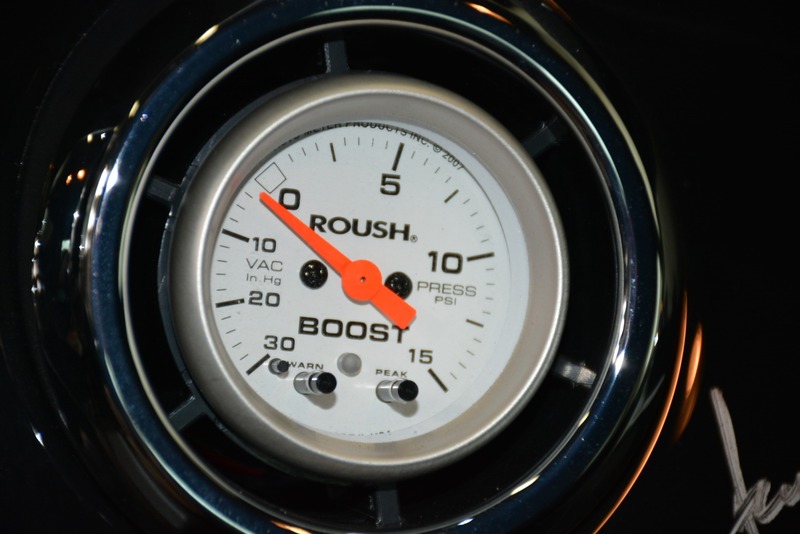 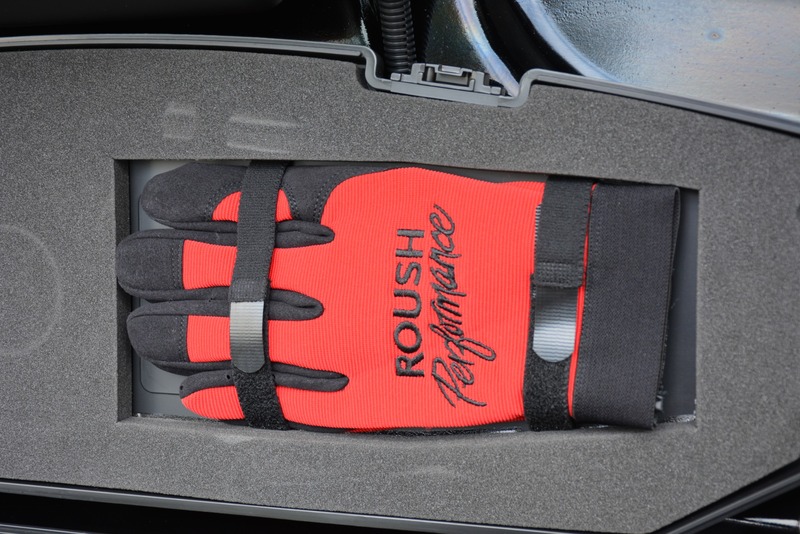 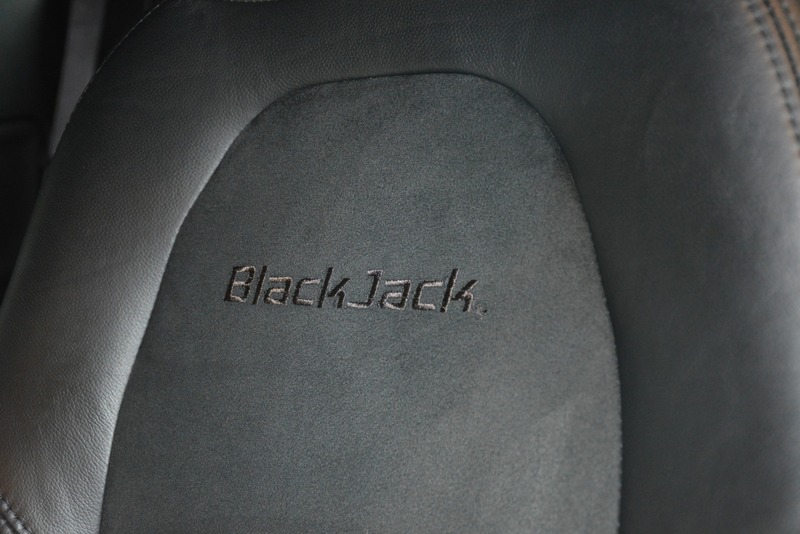 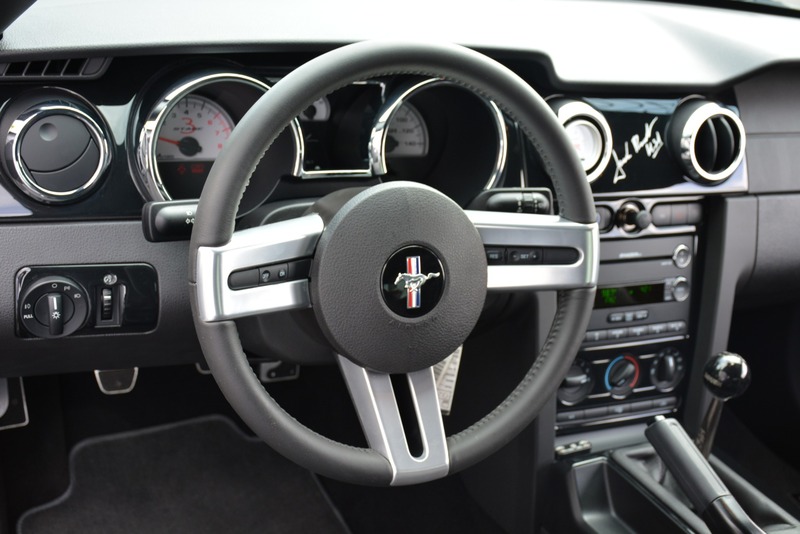 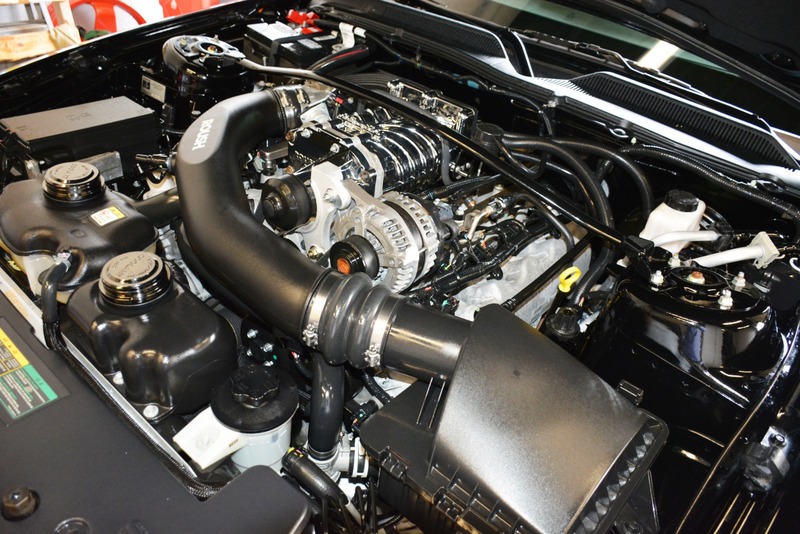 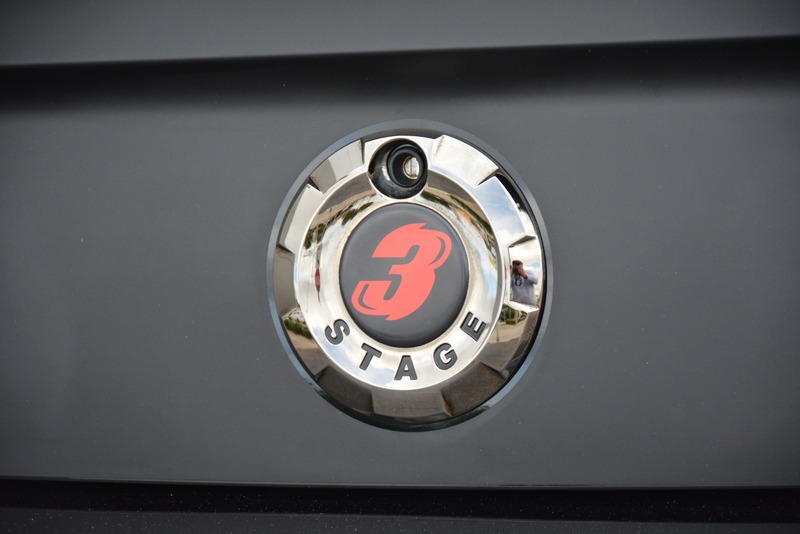 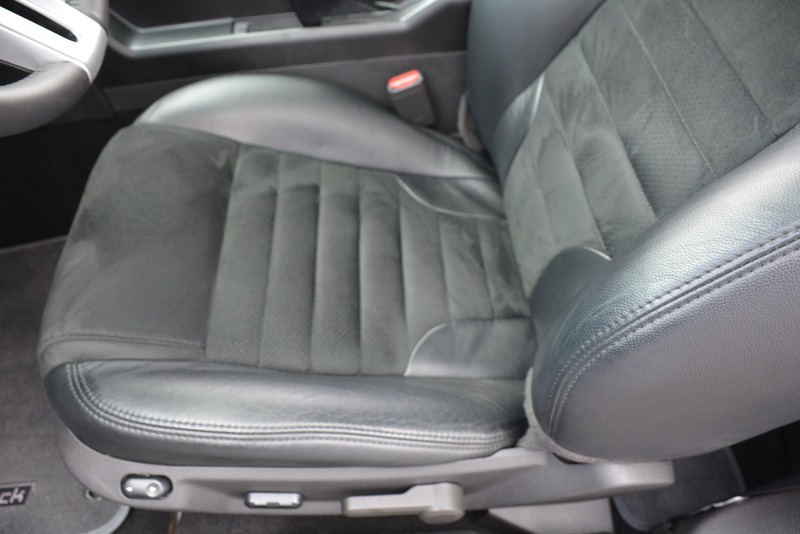 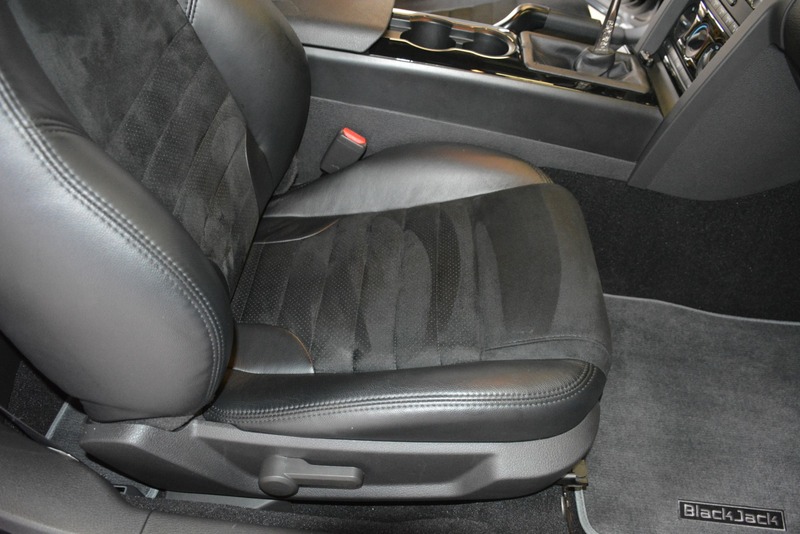 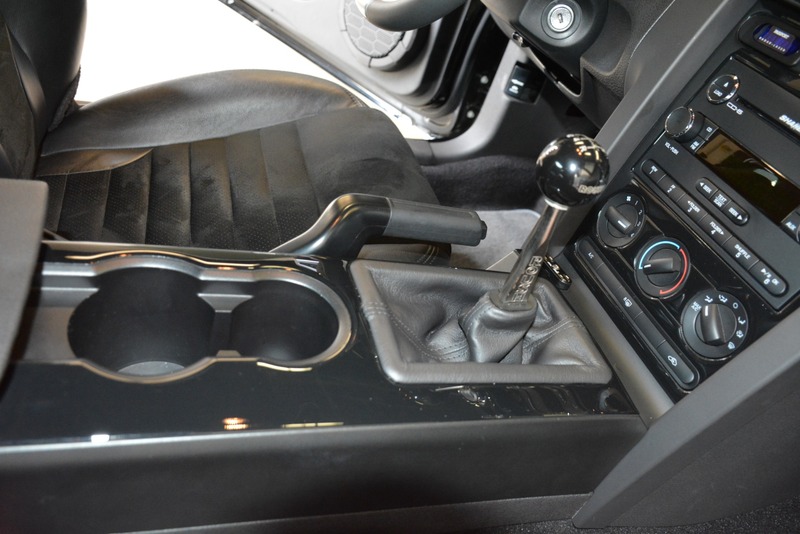 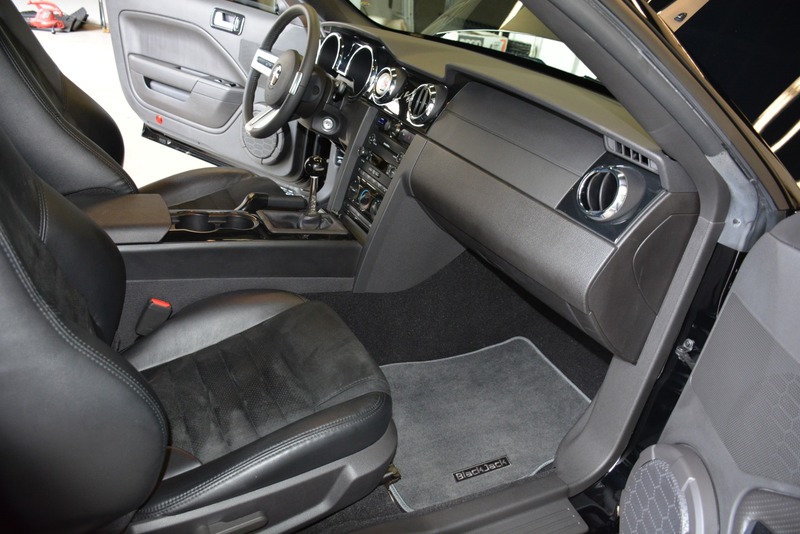 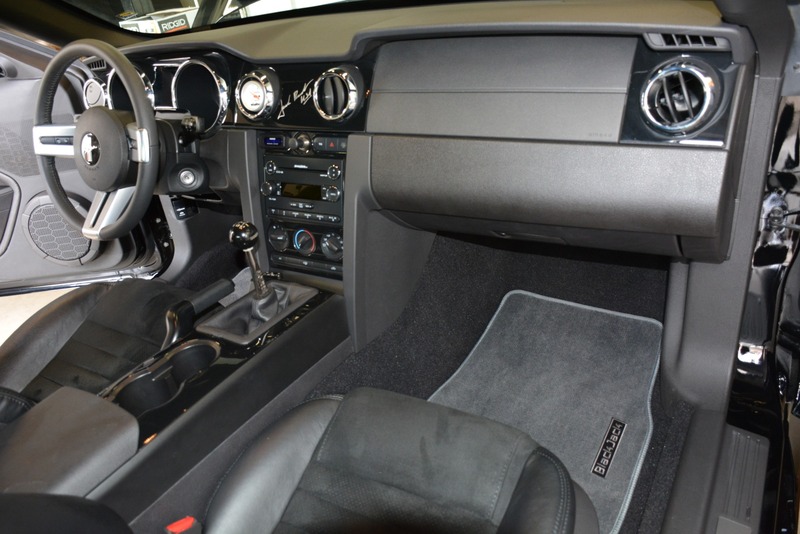 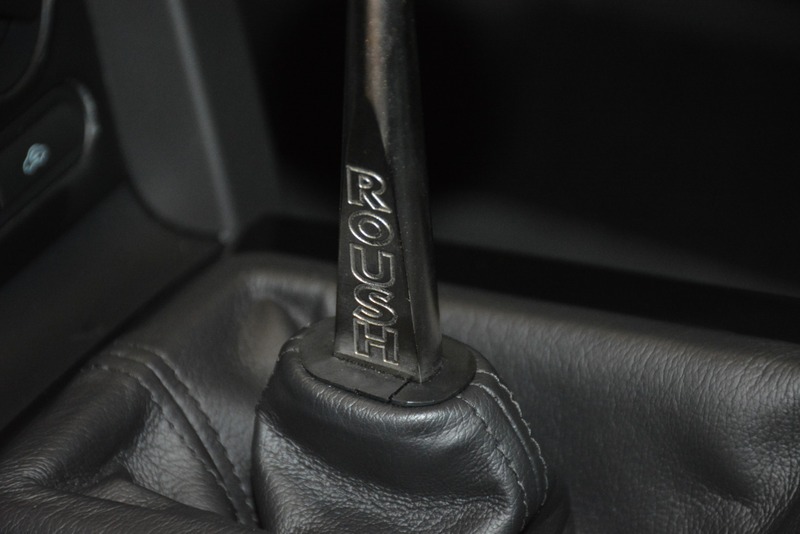 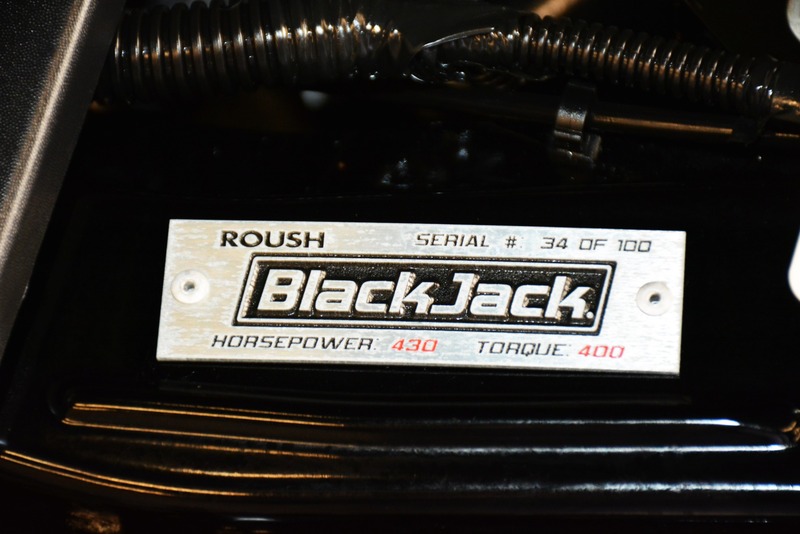 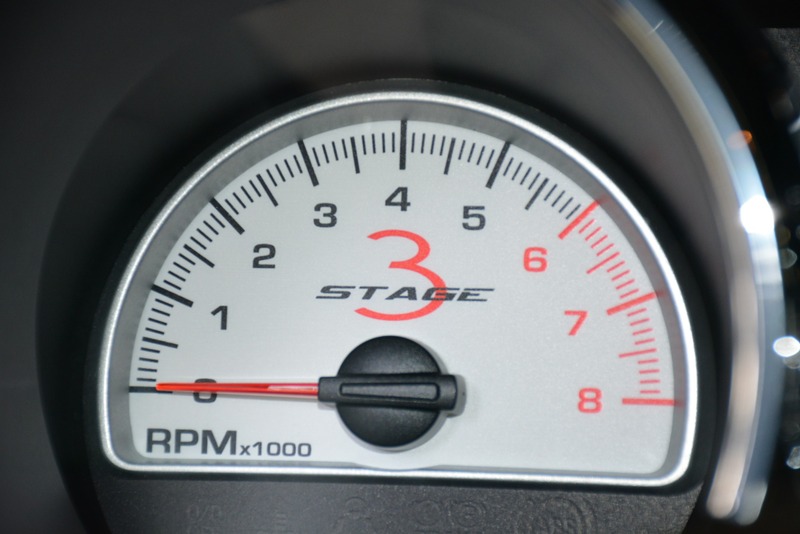 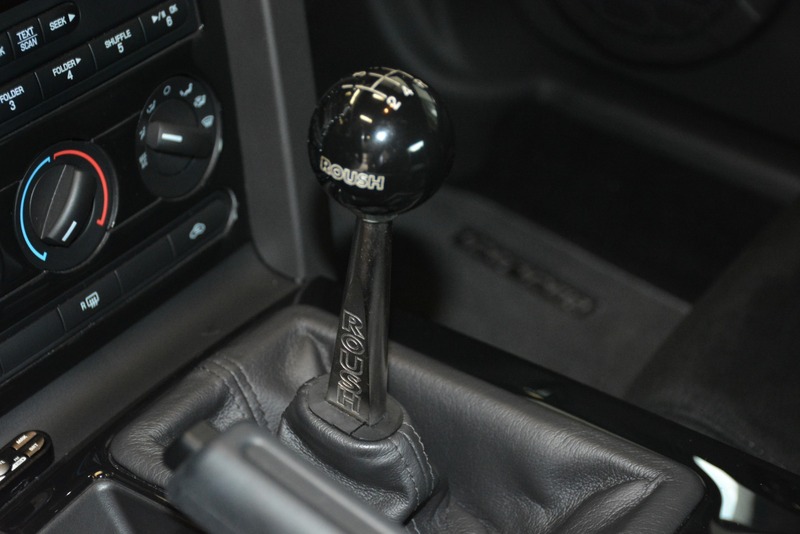 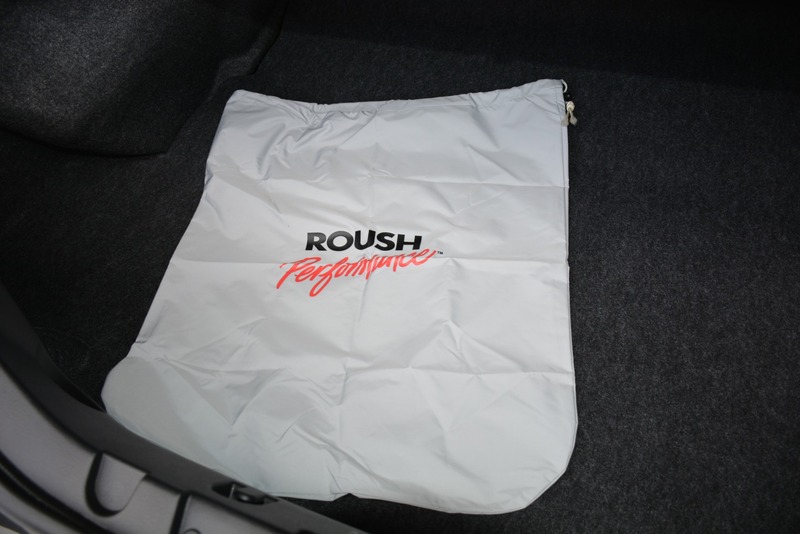 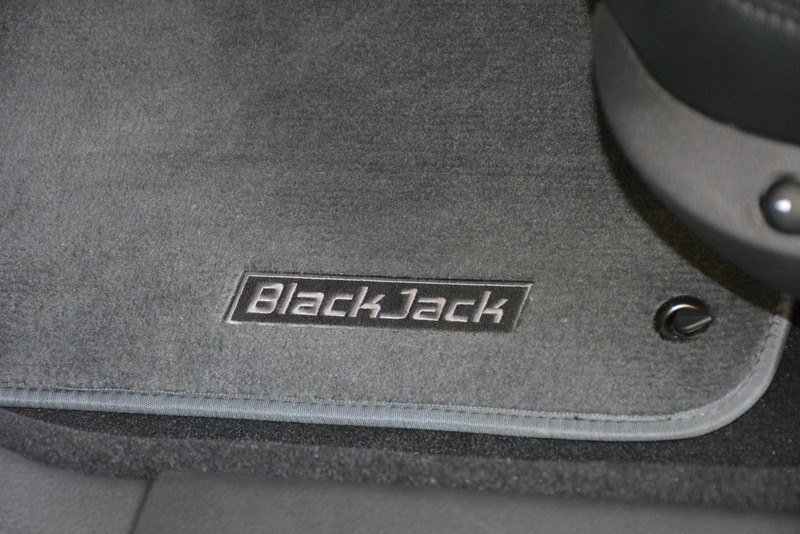 As with prior models, the 2009 ROUSH� Stage 3 BlackJack� will be limited to just 100 units, and are available in both coupe and convertible as well as five-speed manual or automatic transmissions. 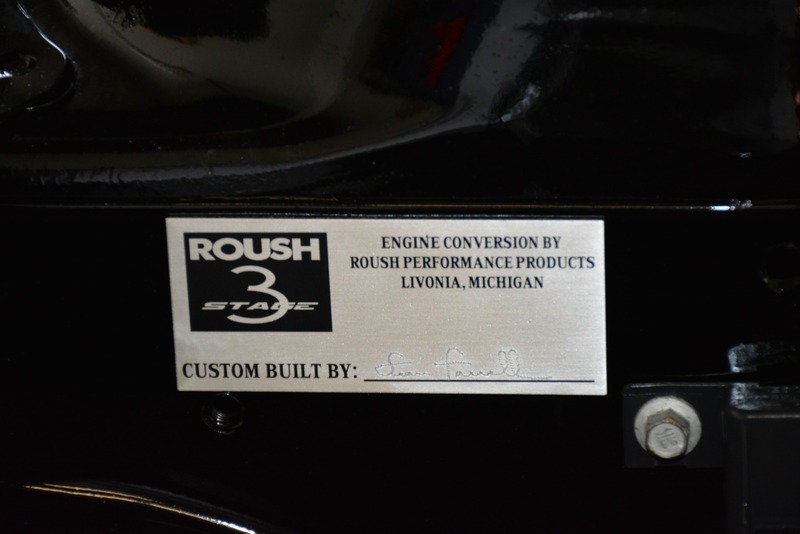 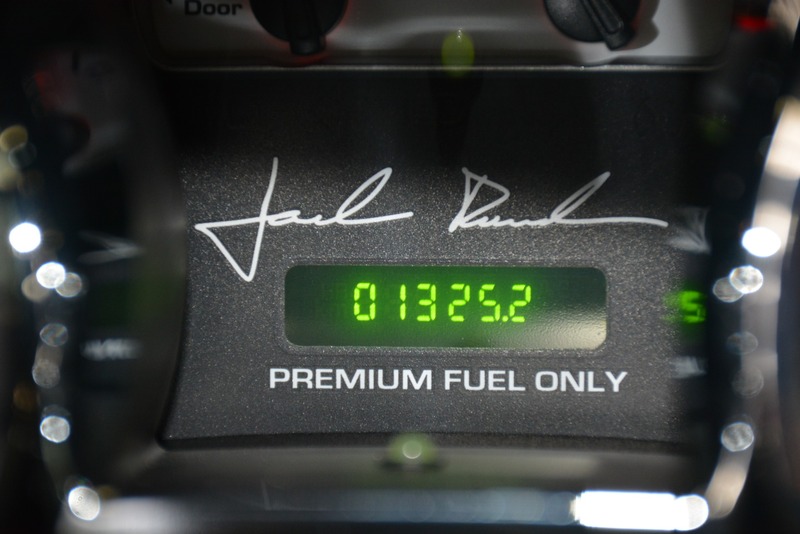 All cars will be personally autographed by Jack Roush before leaving the Livonia, Mich., production facility. 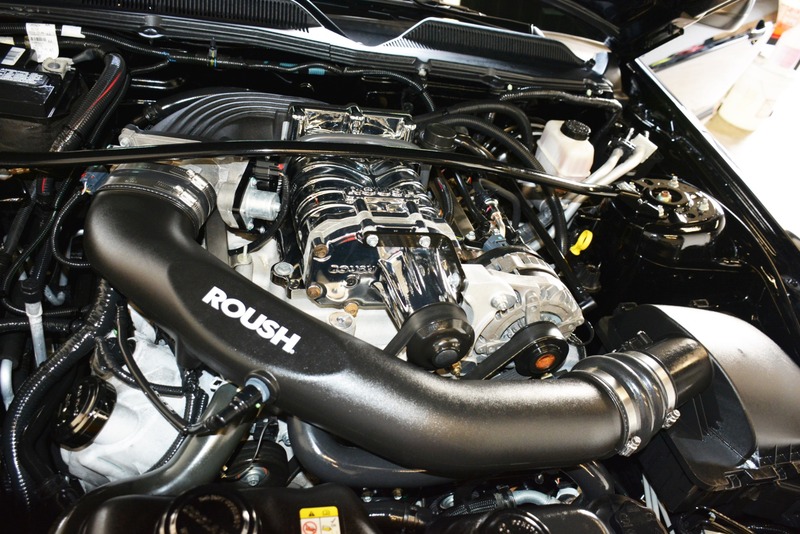 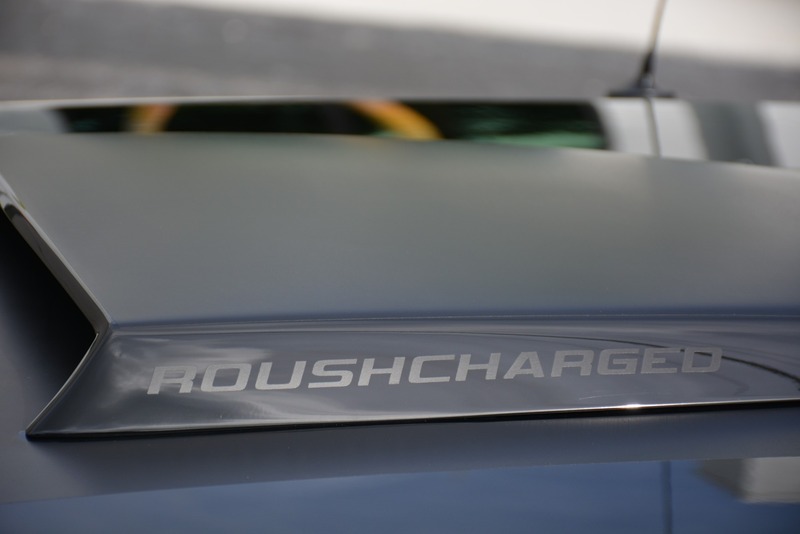 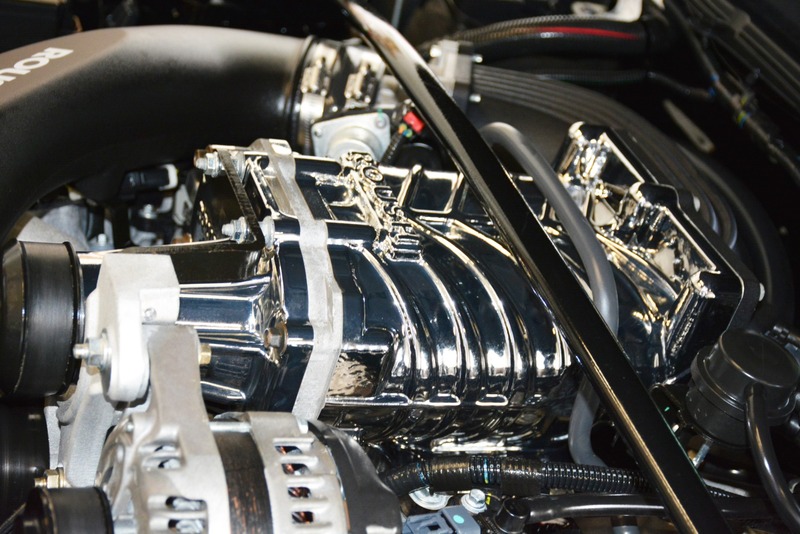 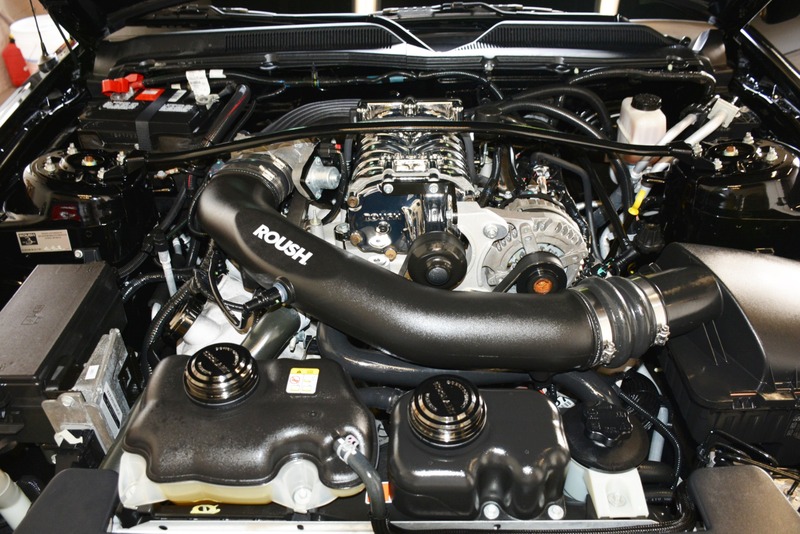 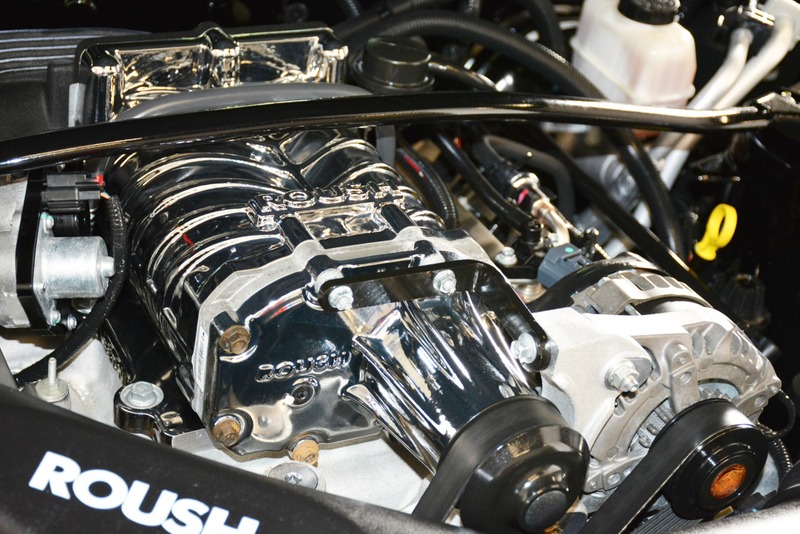 ROUSHcharger, intake manifolds, intercooler & radiator, air induction system, ROUSH calibrated ECM and many others) Produces 435hp / 400lb-ft. Chrome Powder-Coated ROUSHCharger ROUSH 7 Piece Aerobody KitFront Fascia, Front Chin Spoiler, Hood Scoop, Rocker Panels, Rear Fascia Valance and Rear Wing (shown with optional quarter window louver kit - not included) Black Bar High Flow Front Grille Lower Valance Fog Lamps Convertible Light BarThis option is for convertibles only Quarter Window LouversThis option is for coupes ONLY ROUSH 18-Inch Forged Black Chrome Wheels with Ultra-High Performance Tires and Locking Lug Nuts ROUSH Rear Exit High Performance Exhaust w/ Chromed Tips ROUSH Black Chrome Fender Badges ROUSH BlackJack Embroidered Floor Mats ROUSH Black Front Windshield Banner Short Throw Shifter w/ Chrome Shifter Arm and Black Ball Knob ROUSH Pedals(Auto or Manual) CNC Billet Aluminum ROUSH Stage 3 White Face Gauge ClusterElectro luminescent ROUSH BlackJack Sport Leather Seating with Suede Inserts ROUSH Suspension SystemFront Struts, Rear Shocks, Front and Rear Springs, Front Sway Bar and Rear Sway Bar, and Pinion Snubbers ROUSH Wheel Hop Reduction Kit Big Brake KitConsists of 14-Inch two-piece slotted front rotors, factory size slotted rear rotors, four-piston red front calipers and red painted factory rear calipers. 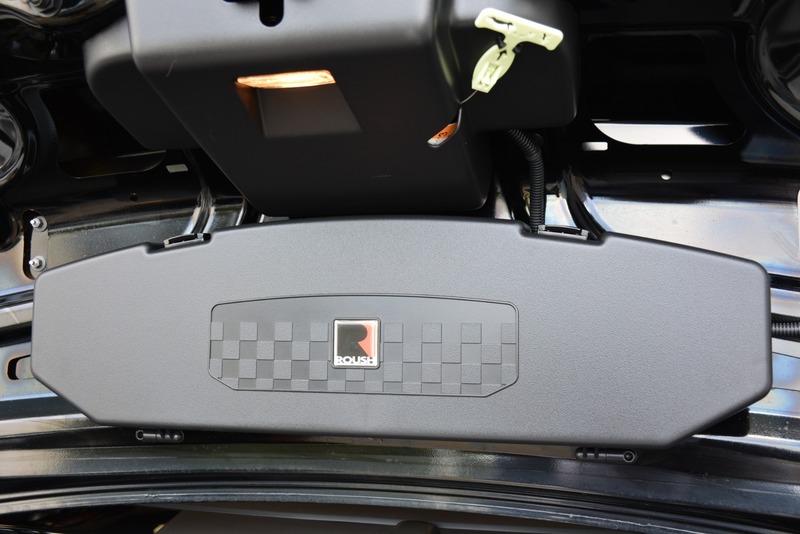 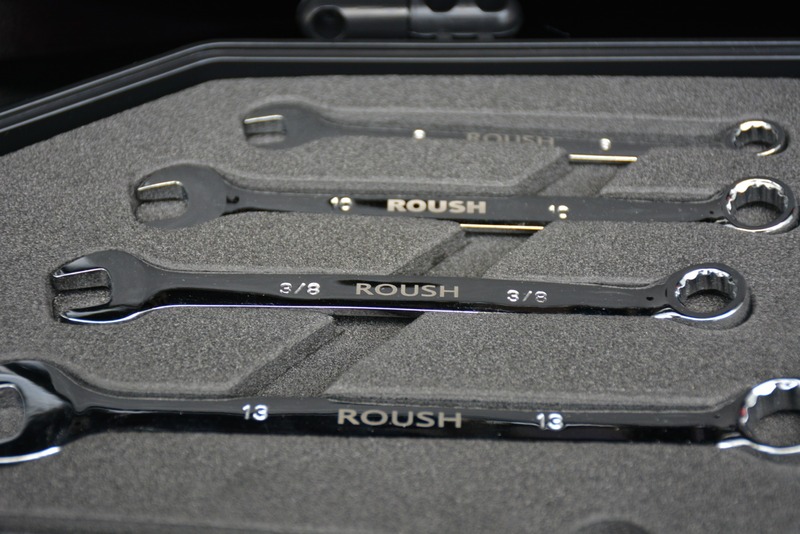 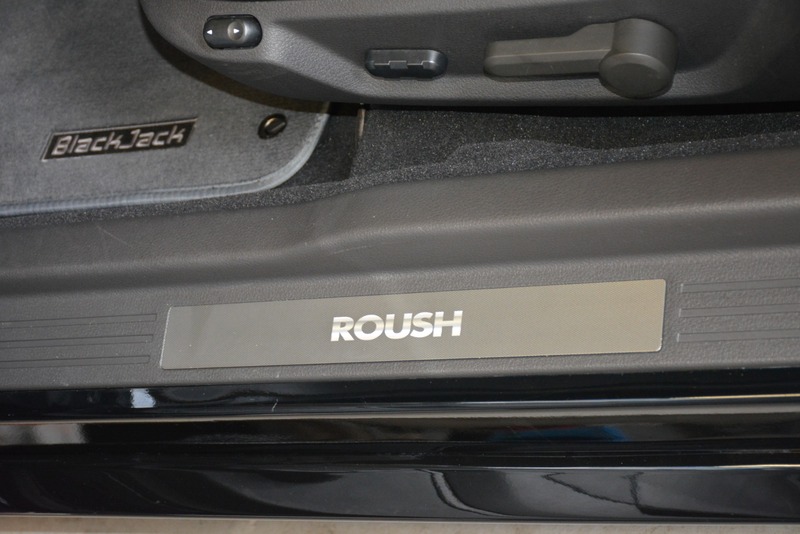 ROUSH BlackJack Serialized Badge and Stage 3 Signature Badge ROUSH Matte Black 21-Inch Wide Custom Striping ROUSH Black Chrome Billet Underhood CapsRadiator and Oil Caps Door Sill Plates Trunk Mounted Tool Kit ROUSH Black Interior Dash Trim Jack Roush Signature on DashHand signed by Jack Roush Strut Tower Brace Vent Pod with Boost Gauge.